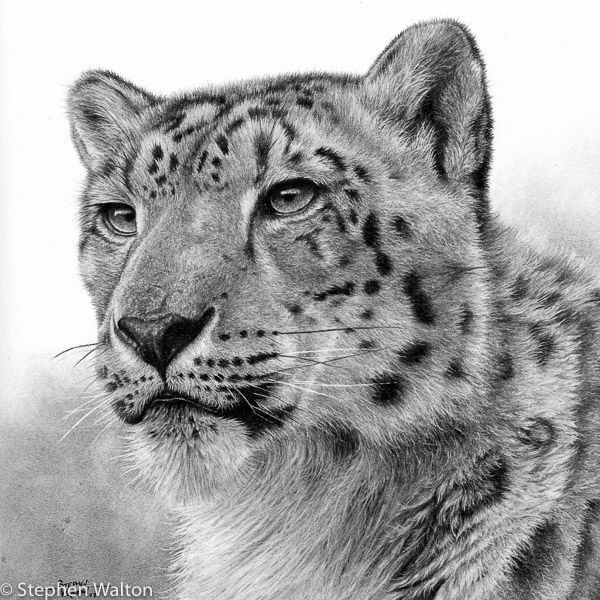 Snow Leopards have the most stunning fur. Even though this is just simply a portrait and doesn't show the most luxuriant areas of fur, the area around the neck hints at it. This is still one of my favourite small drawings.